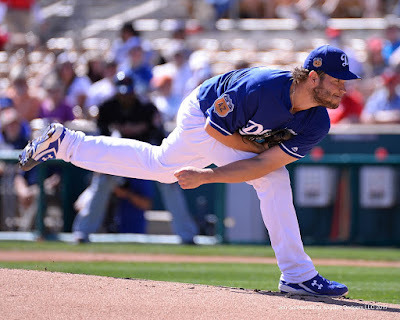 "Kersh had everything working," said Dodgers manager Dave Roberts. "Two clean innings and it was good to see. It was a good day, overall." In other Dodger news, Sergio Romo was stifling in his first inning as a Dodger yesterday. He struck out the side. This Day in Dodgers History: In 2001 the Dodgers signed free agent amateur outfielder Roger Cedeno. In 2010 the Dodgers signed free agent outfielder Garret Anderson. Happy Birthday, John Ward, Wee Willie Keeler, Ed Phelps, Joe Koukalik, Bert Griffith, Scott Radinsky & Matt Treanor! Longtime LA Kings broadcaster Bob Miller is retiring. Per Tom Hoffarth at the Los Angeles Daily News; "Hoffarth: If this is Bob Miller’s time to skate away, we’ll tap our sticks in respect." Oh, man! LA Sports will never be the same. We lost Vin Scully last year, and now we are going to lose Bob Miller this year. Ugh! BTW, Bob hopes to call the last two games of the season, so we fans have something to look forward to. Via Eric Stephen at True Blue LA; "MLB rule changes: No more outfield markers for Dodgers." Jim Callis at MLB.com shares MLBPipeline.com's new prospect rankings for the Dodgers; "Breaking down the Dodgers' Top 30 Prospects: Los Angeles farm remains among baseball's best despite significant graduations." Gunning for its fifth straight NL West title, Los Angeles has a crowded roster and more young talent coming from a system that currently ranks as the sixth-best in baseball. First baseman/outfielder Cody Bellinger, right-hander Brock Stewart and catcher Austin Barnes would be pushing for starting roles on a lot of clubs, but they'll have to wait their turn. Outfielder Alex Verdugo, second baseman Willie Calhoun and righty Walker Buehler -- all Top 100 Prospects -- are only a year away. Via Bill Plunkett at the Daily News; "Alex Wood ready to compete for Dodgers rotation spot."